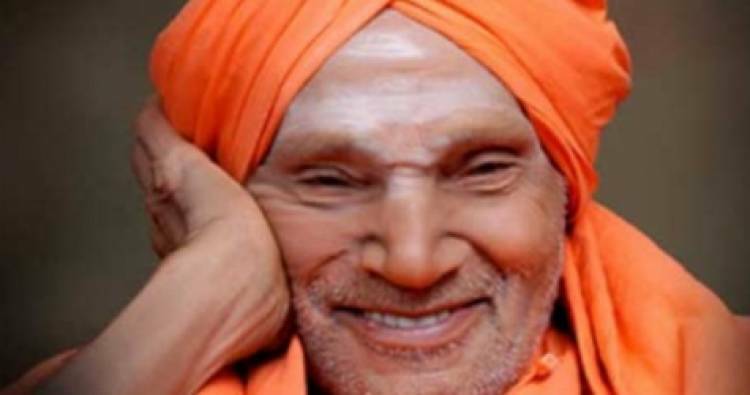 TUMAKURU (KARNATAKA): Thousands of people from across Karnataka have paid homage to the 111-year-old seer Shivakumara Swami at the Siddaganga Mutt on the town's outskirts, said an official on Tuesday. "Around three lakh people visited the Mutt so far since Monday afternoon and throughout the night, braving the weather and difficulty in travelling from towns and villages across the state," a Mutt official said. The most popular and influential seer of the Lingayat community passed away on Monday at 11.44 a.m. in the Mutt due to protracted illness in old age. Though the state-run road transport corporation deployed over 200 buses to let people travel to Tumakuru from various districts in the state for a last glimpse of the seer, hundreds of them rushed to the Mutt on their two-wheelers and four-wheelers, including tractors in the past 24 hours. "Elaborate arrangements have been made to ensure orderly movement of the people to the makeshift venue where the seer's frail body has been kept in a glass case for public homage," said the official. The South Western Railway was also operating special trains from Bengaluru to Tumakuru for enabling the people travel to pay tributes to the seer. Draped in saffron robes and sporting holy ash powder across the forehead, the late seer appeared to hundreds of people "sleeping" in the sitting posture. "As the Mutt is well known for piety and hospitality, people rushing to pay tributes to Swami were served food for supper on Monday night, breakfast and lunch on Tuesday," added the official. Moved by the Mutt's gesture to feed the people free, many hotels, restaurants and eateries in the town offered free food to hundreds of people flocking to the venue for paying homage to the seer. With the state government declaring holiday for offices, schools and colleges on Tuesday as a mark of respect to the seer, men, women, children and elderlies made a beeline to the Mutt from cities and towns and paid homage to the holy man. The state-run National Highway Authority of India (NHAI) suspended toll fee on the highway from Bengaluru to Tumakuru till evening for those taking private vehicles. The state is observing a three-day mourning since Monday as a mark of respect to the seer and all official engagements have been cancelled till Wednesday. The national flag is flying at half-staff on government offices and designated places. The seer's last rites would be held with state honours later at the Mutt premises.